Considering a move overseas when you retire? 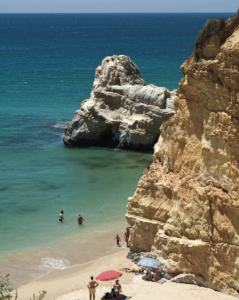 The Algarve is the best place in the world to settle, based on the latest index compiled by Live and Invest Overseas. It’s a sure bet too, since Portugal’s celebrated southern coastal region has taken top honours in the annual ratings for the sixth time. The Algarve is the best retirement locale based on 15 different categories: cost of living, health care, residency options, entertainment, recreation, English spoken, expat community, taxes, real estate affordability, real estate restrictions, infrastructure (internet, electricity and domestic access), environmental factors, crime and safety, access to North America and climate. Tons of sunshine, wonderful beaches, excellent health care, a welcoming ex-pat community and overall affordability make this Portugal destination very attractive. In all, the index recognizes 21 destinations, concentrating on cities (and a couple of regions) in order to provide specific information so you can make informed decisions. It also doesn’t pull any punches when it comes to mentioning potential downsides, such as pollution, substandard health care or high cost of living. Here’s how the rest of the overall list breaks down.